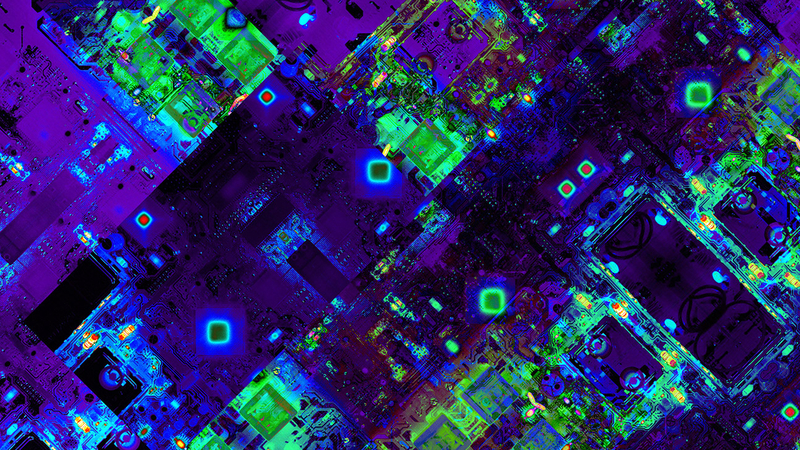 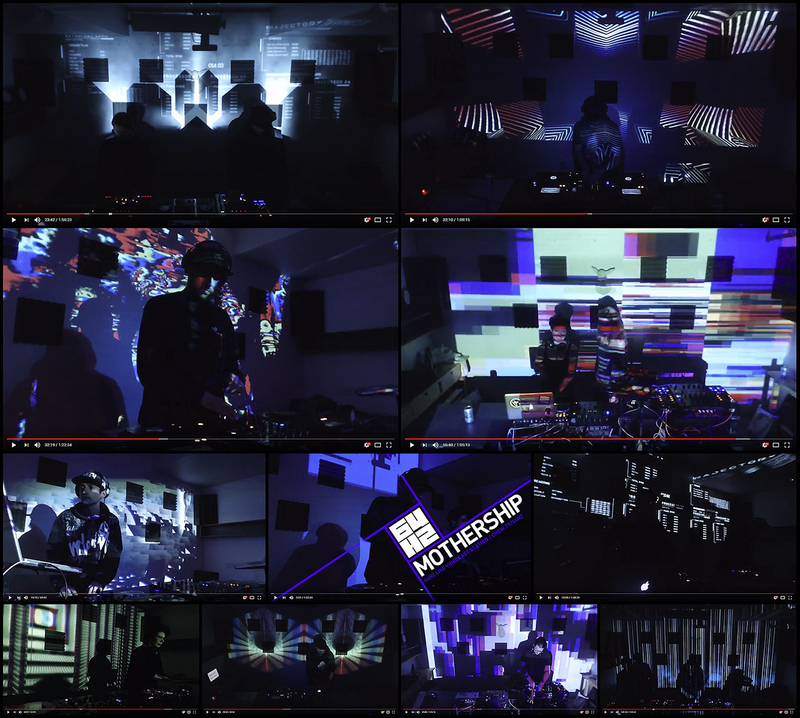 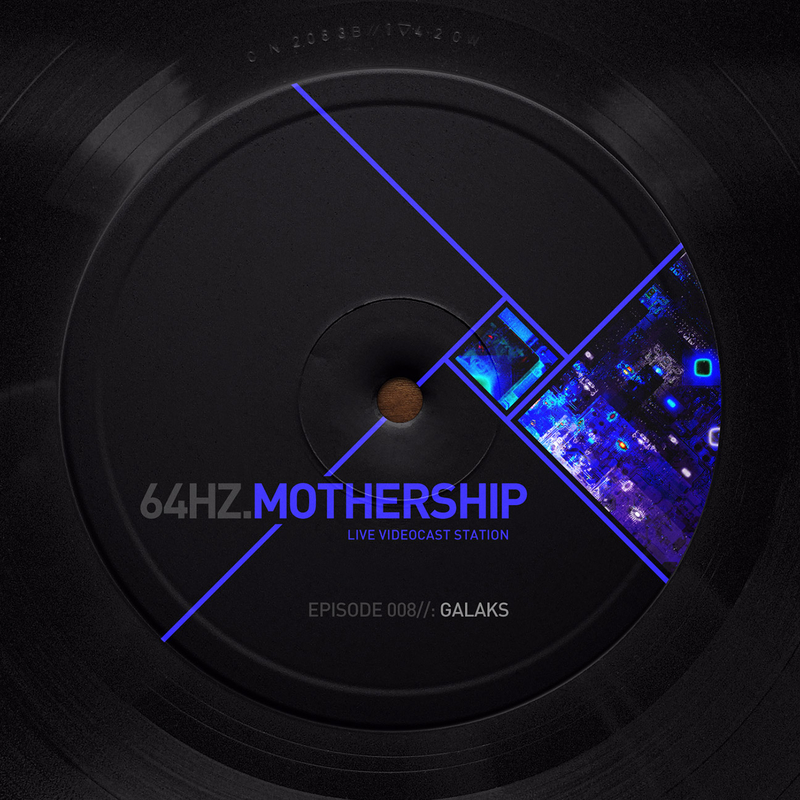 64hz.MOTHERSHIP is a monthly audiovisual connection where live performances are broadcasted on chew.tv platform. 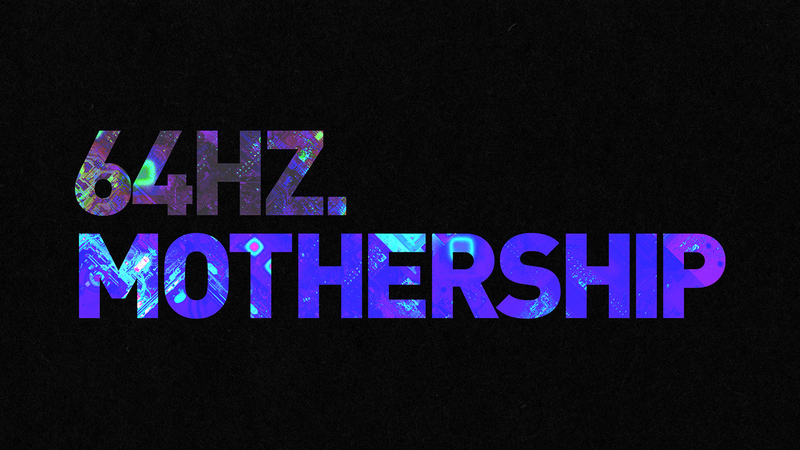 64hz collective and guest artists share their avant-garde musical selections combining past, present and future to create a timeless experience. 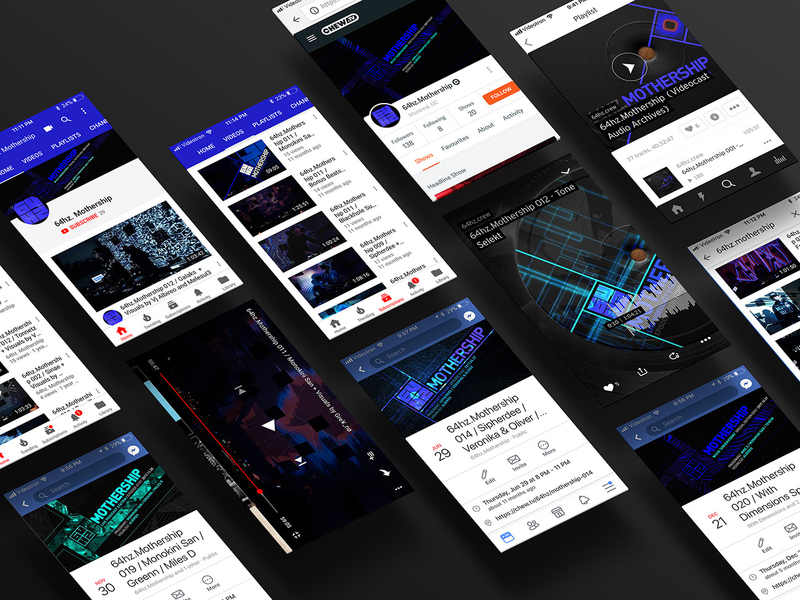 Mandate: To promote the launch of their videocast series, the collective entrusted us with the creation of an identity and a visual platform for monthly digital campaigns. 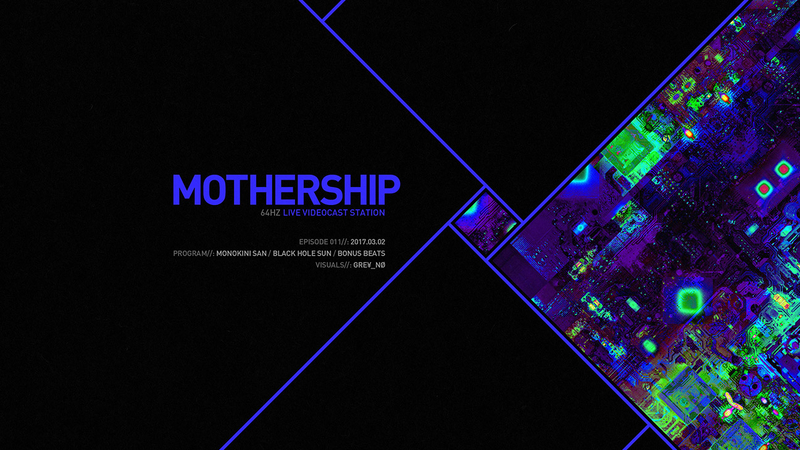 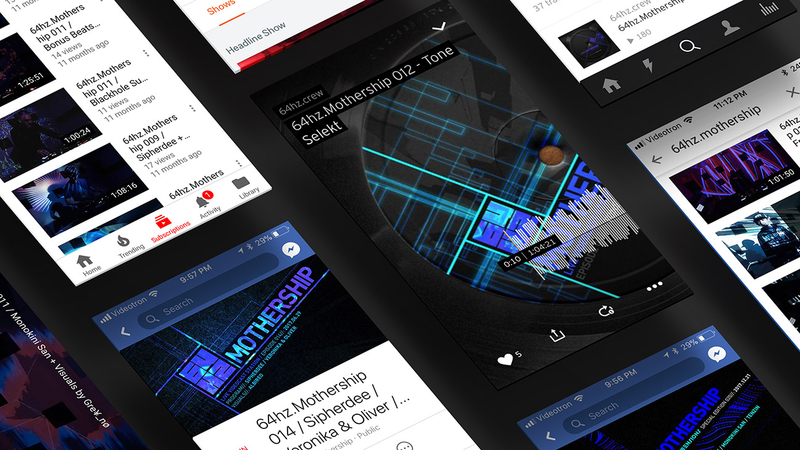 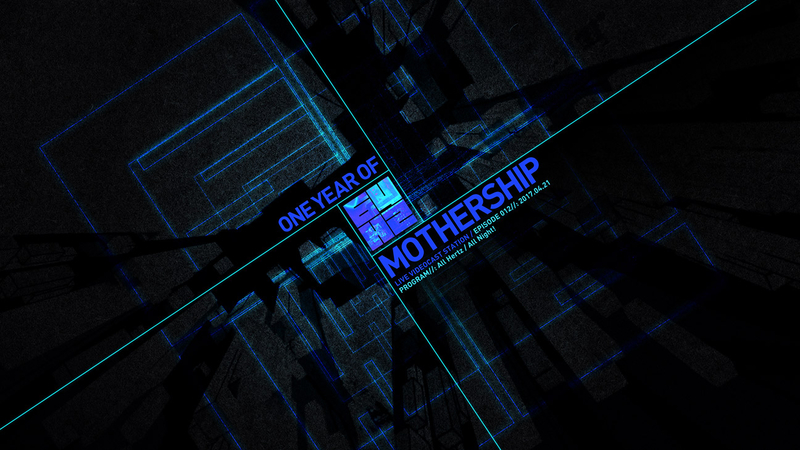 The mothership vessel theme was chosen through a collaborative process with members of the collective. 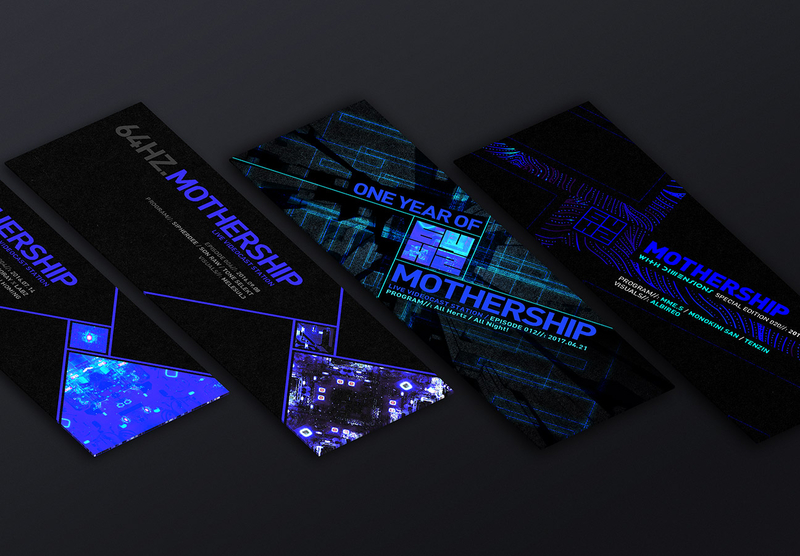 From that point on, our creative approach was based around the concept of the vessel, with elements like a hybrid station, a secret lab and synchronized experiment parameters as part of our lexical field. 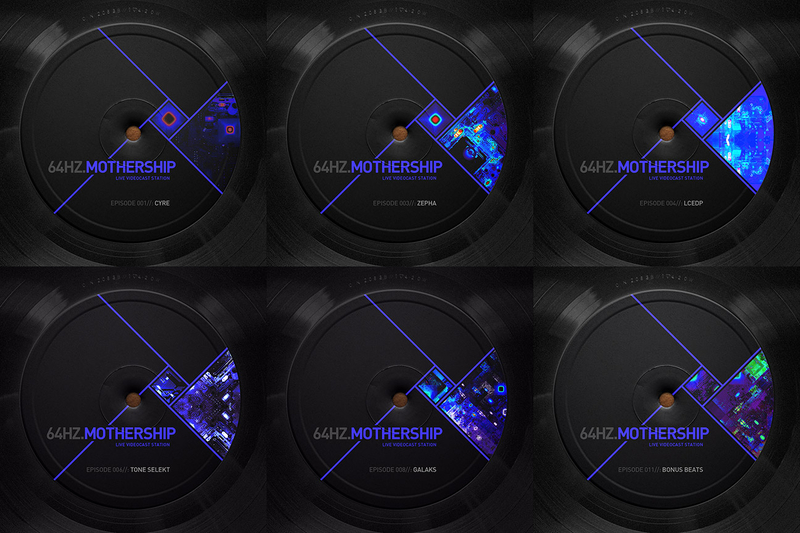 We used infrared photos of electronic circuits to create the imagery for the digital platform, which is scalable: for each edition, the visuals are transformed and adapted to the musical direction of the different guest artists and seasons.